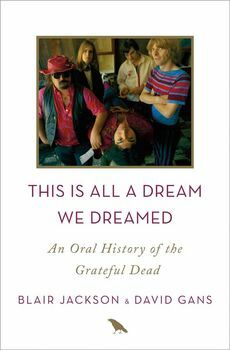 In This Is All a Dream We Dreamed, two of the most well-respected chroniclers of the Dead, Blair Jackson and David Gans, reveal the band's story through the words of its members and their creative collaborators, and a number of diverse fans, stitching together a multitude of voices into a seamless oral tapestry. Woven into this musical saga is an examination of the subculture that developed into its own economy, touching fans from all walks of life, from penniless hippies to celebrities, and at least one U.S. vice president. The book traces the band's evolution from its folk/bluegrass beginnings through the Jug Band craze, an early incarnation as Rolling Stones wannabes, feral psychedelic warriors, the Americana jam band that blazed through the '70s, to the shockingly popular but still iconoclastic, stadium-filling band of later years. The Dead broke every rule of the music business along the way, taking risks and venturing into new territory as they fused inspired ideas and techniques with intuition and fearlessness to create a sound-and a business model-unlike anything heard and seen before. The definitive fifty-year oral history of this seminal band, as told by its members and their family, friends, and followers. Fifty years after the Grateful Dead was formed, the band still exerts a powerful influence over hundreds of thousands of fans around the world. Today, an entire generation of Deadheads who have never experienced a live Dead show are still drawn to the music and the complex and colourful subculture that has grown up around it.